Today I was lucky enough to shadow a State Legislator for the day. It was part of Shadow the Legislature hosted by Sen. Jill Tokuda. There was a mix of college students within the University of Hawaii system. We were all paired with either a Senate or House member. The day was intended for us to get a glimpse into an average day of lawmakers as well as to get an understanding of how the Legislature operates. I had the honor to be paired with Senate President Shan Tsutsui. Sen. Tsutsui represents Maui’s 4th District and was named Senate President for this session. He takes over the role from now United States Congresswoman, Colleen Hanabusa. The day started with an 8am entrance into Sen. Tsutsui office. The spacious office featured two conference rooms and a few large couches. I was introduced to the staff and was told the Senator was actually en route to Oahu on a flight from Maui. I then saw my Ewa District Senator, Will Espero. We chatted for a moment before he was asked by Sen. Tsutsui’s office if he would be willing to introduce me during the Senate’s session. He agreed and we spent a few more minutes enjoying the continental breakfast which had been prepared for us. Sen. Espero and I have spoken often in the past as I have been a sign waver for him as well as interviewed his son Jason when he ran for office in December. Sen. Espero is a nice man and a sharp dresser! After the breakfast, Sen. Espero left for a few meetings while I went to an informational meeting. The meeting provided an introduction to the Public Access Room which allows people to research bills as well as to get any info on legislators or legislation. By 10am a few of us decided to take a tour of the Capitol. Our tour guide, Carolyn, was funny and very informative. We viewed both chambers from the gallery as the workers prepped for the upcoming session. We then visited the Governor’s and Lt. Governor’s offices. The Hawaii State Capitol is quite a sight. I returned to Sen. Tsutsui’s office and was formally introduced to the Senate President. We chatted a bit as we made our way to the Senate floor. Since Sen. Tsutsui convenes the session, I sat next to Sen. Espero. Introductions were called and Sen. Espero stepped forward to introduce me. He noted my work on his campaign as well as other campaigns in the area. He even dropped a mention of my Desperate America Report website! The Senate Chamber itself is an awe-inspiring area. From the Senate floor, the ceiling lights resemble a spaceship preparing to land. Sen. Espero and I joked about Sen. Sam Slom being the only Republican in the Senate and his need to run to various committees to serve as the minority member. Sen. Tsutsui then took me to lunch. We enjoyed a feast at a local chinese restaurant called Little Village with his aide, Ross. There we chatted about sports and some of the issues of my area. The day ended with a Senate Education Committee hearing. The hearing went as usual with Sen. Slom racing into the room for a vote before speeding away to another committee hearing. The day was amazing at every turn. 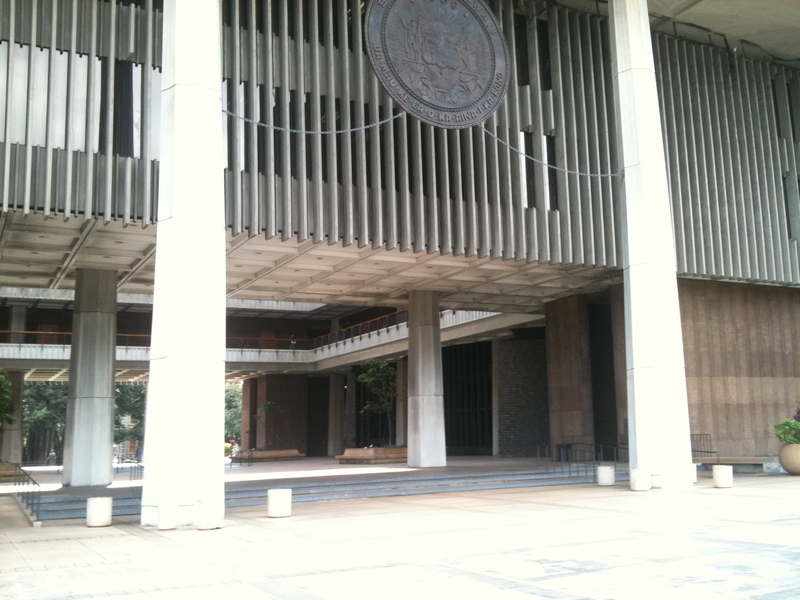 I hope to one day return to the Senate floor, this time as an elected Hawaii State Senator! Mahalo to Sen. Tokuda for hosting the event, Sen. Espero for the kind introduction, and finally, Sen. Tsutsui for he and his staff’s hospitality and kindness. The experience gained was priceless and I am a better person for it! This entry was posted in community, education, Monday's Best, politics and tagged Hawaii, hawaii legislature, house, sen. jill tokuda, sen. sam slom, sen. shan tsutsui, sen. will espero, senate. Bookmark the permalink. That sounds like an awesome experience. It must’ve been so much fun networking. 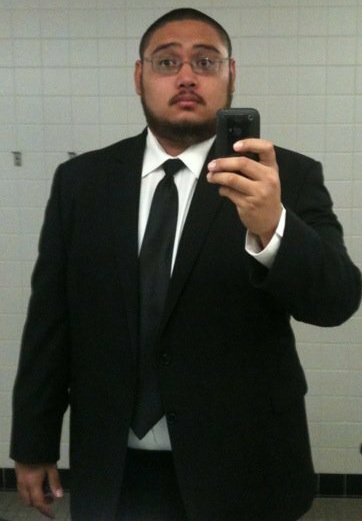 Plus, now we know that Ryan looks good in a suit. LOL. I’m glad you had fun.